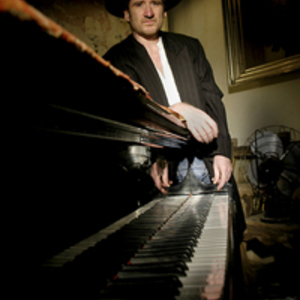 A respected session and sideman, British blues pianist and composer Jon Cleary has worked with rock, blues, and soul artists like Bonnie Raitt, D'Angelo, Maria Muldaur, Taj Mahal, and Eric Clapton. Originally a guitarist, Cleary began playing at age five, and started his first band at 15. Raised on blues, jazz, and soul records, his love of new orleans blues and jazz in particular took him across the ocean after he graduated from art school. Back in England, Cleary continued refining and expanding his vision of the blues, when he received a call from producer John Porter, a fellow Englishman who had seen some of Cleary's performances at the Maple Leaf and wanted to introduce him to the blues scene at large. Recording with Taj Mahal and a gig at the Hollywood Athletic Club followed, as well as a collaboration between Cleary and Porter on his 1999 solo debut album, Moonburn. Three years would go by until a new album would be prepared, but by 2002 he had an eponymous album ready with the Absolute Monster Gentlemen.